B&H is proud to offer a wide variety of engraving products. We specialize in unique, custom plaques and awards. We can engrave on your item or help you design a one of a kind impression. Browse our online samples, stop by our showroom, or give us a call. One of our friendly staff will be available to answer the phone during business hours. No directory or automated phone service. Customer service is our #1 priority and we take pride in our products and hope to exceed your expectations. Impressions Count! Established in 1949 to serve the needs of the Newspaper Industry, Brown & Hartman Engraving began producing large etched magnesium dies. Our original site was located at 516 North Denver in Tulsa from June 1949-December 1962. 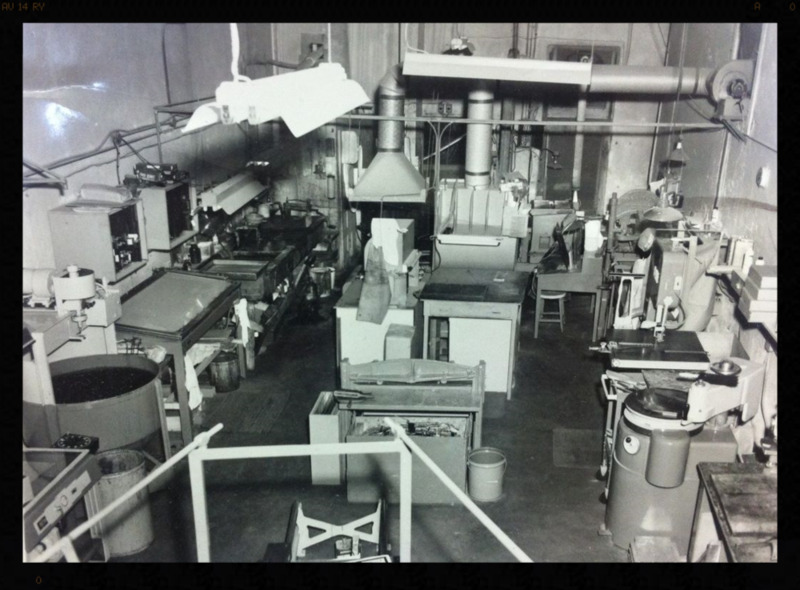 In 1992, long time employees, Don and Connie Bryant, purchased the company and incorporated as BG Specialties, Inc. However, the Brown & Hartman Engraving (B&H Engraving) name is still used today. In 2006, Connie became the sole owner after the death of her husband, Don. Today, B&H remains strong and is thriving as a female-owned family business. Connie works closely with her two daughters, Susan & Stephanie to manage the day to day operations. Picture taken in 1940s inside the original shop location. Some of this equipment we still use today! 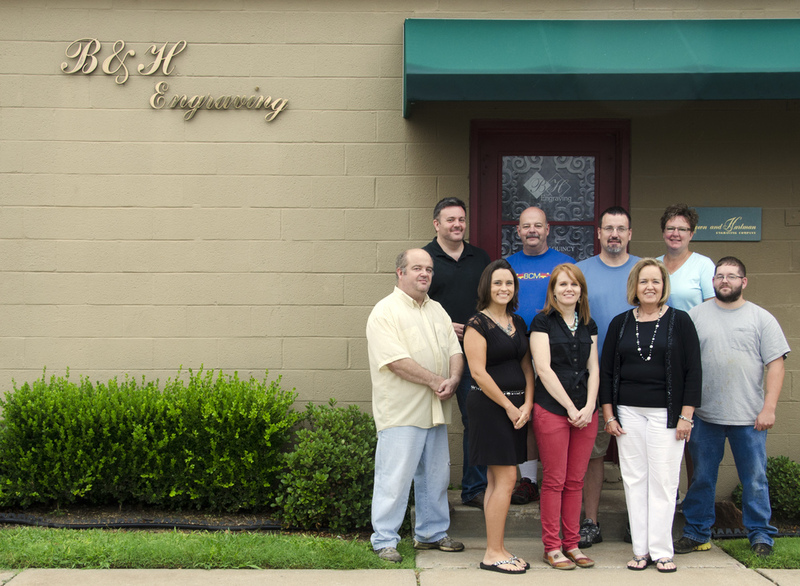 In April 2012, B&H was featured in the Small Business Profile Section of the Tulsa World. We are located in the Pearl District near Downtown Tulsa. 2 Blocks East and 1 Block North of 6th and Peoria.